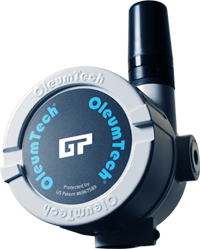 The General Purpose Wireless Transmitters are designed for monitoring critical process applications in non-hazardous locations. The GP Transmitters can be powered using external power or optional battery, providing extreme flexibility in deployment. The GP Transmitters provide exceptional quality, reliability, and superior value for collecting 4-20 mA / 0-10 V, discrete, and temperature level data. 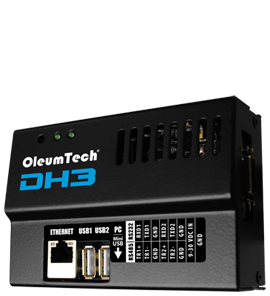 The GP-DH3 Wireless Gateway serves as the primary data collection point in the GP Wireless Sensor Network. It also interfaces third-party SCADA and IoT systems for delivering data to the cloud. 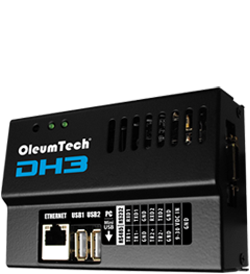 The GP-DH2-W Wireless Gateway serves as the primary data collection point in the GP Wireless Sensor Network. It also interfaces third-party SCADA and IoT systems for delivering data to the cloud.